The commission voted 4-2 to recommend that the supervisors pass the legislation sponsored by Board of Supervisors President Aaron Peskin ... Peskin said North Beach residents are concerned about the growing number of restaurants and bars opening in the touristy neighborhood while shops such as hardware stores and shoe-repair businesses have closed. The argument in favor of the ban goes that a) restaurants cause drunken crime (! ), b) there are already too many restaurants, and c) restaurants force benevolent hardware shops out of business (though if we remember correctly, at least one hardware shop closed this year due to no business and it's still vacant). 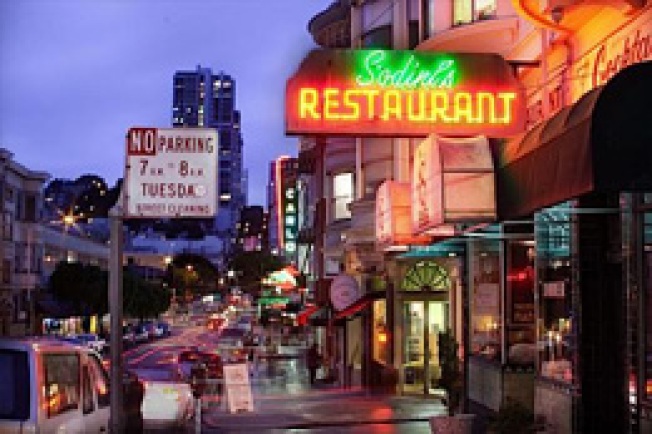 On the other hand, Peskin's opponents say that there are already too many empty storefronts in the 'hood and this ban will just make the blight that much worse, not mention further the undeniable dining stasis found in North Beach. We actually slightly understand the idea to control (though not ban outright) restaurants and bars, but one thing we know for sure: more shoe-repair shops are probably not the way to fix a once-great neighborhood that's quickly becoming the laughingstock of the city.